I ran to Kilmory today from Lamlash and back. 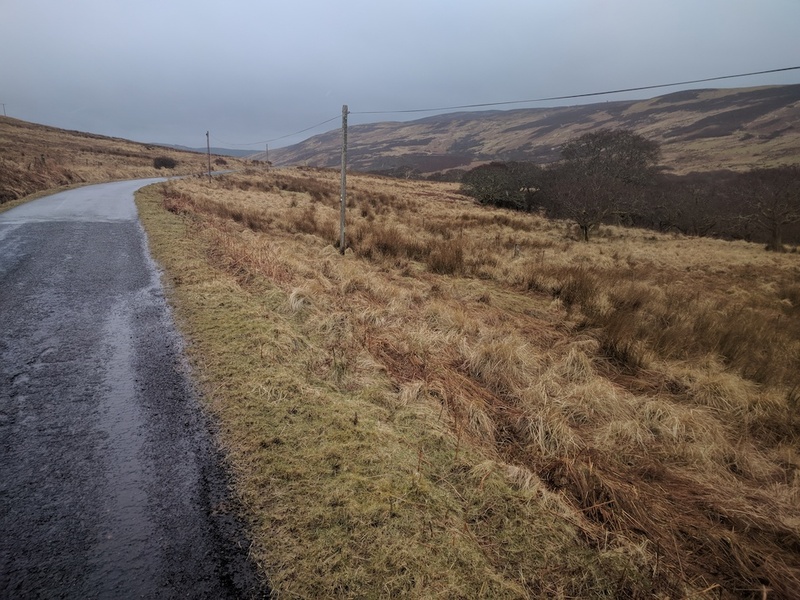 There's a circular route you can take that heads down the coast, across the island, up the lower part of the west coast and then back over to Lamlash. In total, it was 21 miles with a 2800ft elevation gain. 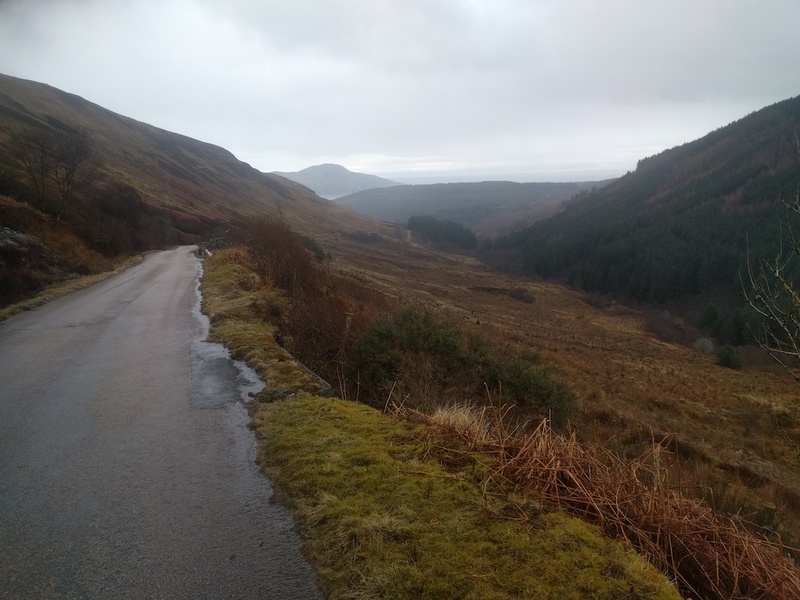 I used it as a training run for some of the runs I've signed up for here on Arran and one on the mainland. This run had been on my list for a while, and as I wrote a few days ago, I had it planned for today regardless of the weather. As you can see below, geographically, it is a run of two halves. That made it a challenge, especially as the wind was with me on the way out and against me (plus driving rain!) on the way back. The circuit is more of a road run with about 60% being on tarmac. I'd also guess, the way I did it, that around 60-70% of it it is up hill. So it felt like a bit of a slog. Great views though and the temperature (cough, driving rain) kept my body temperature down! 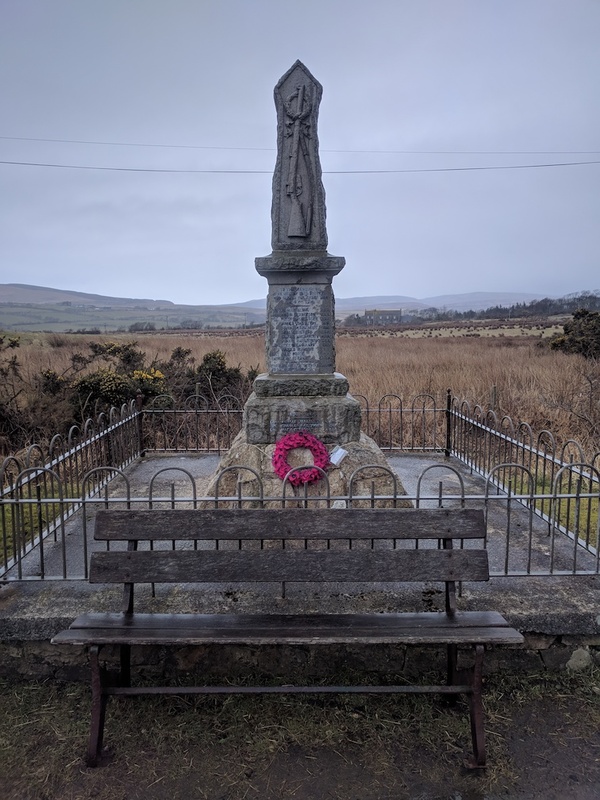 Start from Lamlash and head south out of the village and take a right onto The Ross (by Arran Fine Foods) and make your way towards Dyemill car park. There are slightly different routes you can take here from the car park. Today, I kept it simple and kept on the main track that heads over the bridge. 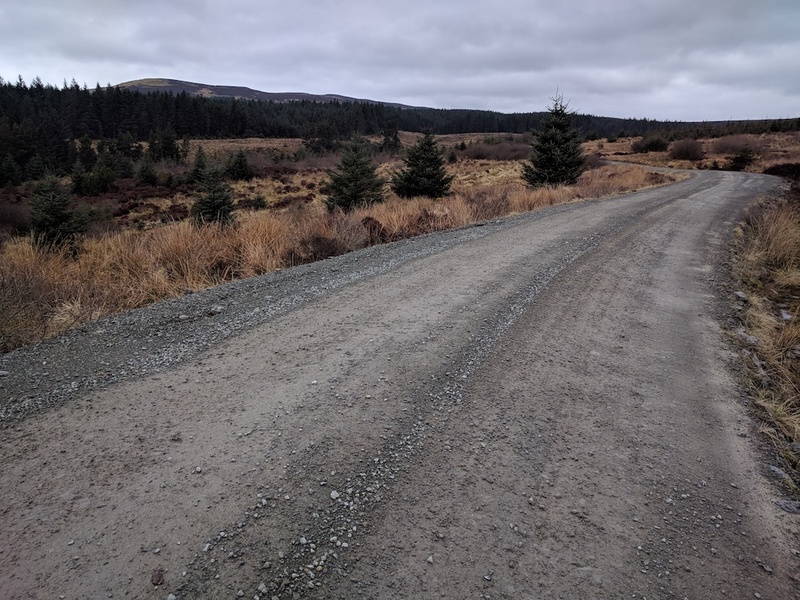 This is the forest track for logging vehicles and takes you all the way to Kilmory. For the first 4-5 miles of the track, you can veer off to different places like Hawthorn near Whiting Bay. Keep going though by the golf course on the left, until you see a sign post for Whiting Bay in one direction and Kilmory in the other. Follow the latter and it will take you up by a place called Cloud Base on the right. The track trundles on for another few miles and you begin to get a sense that you're coming closer to the coast again - I think that's something to do with the light and the sea. You'll also pass a gorgeous farm on the right hand side. After another mile, you'll get your first view of Ailsa Craig and then Kilmory over to your right. 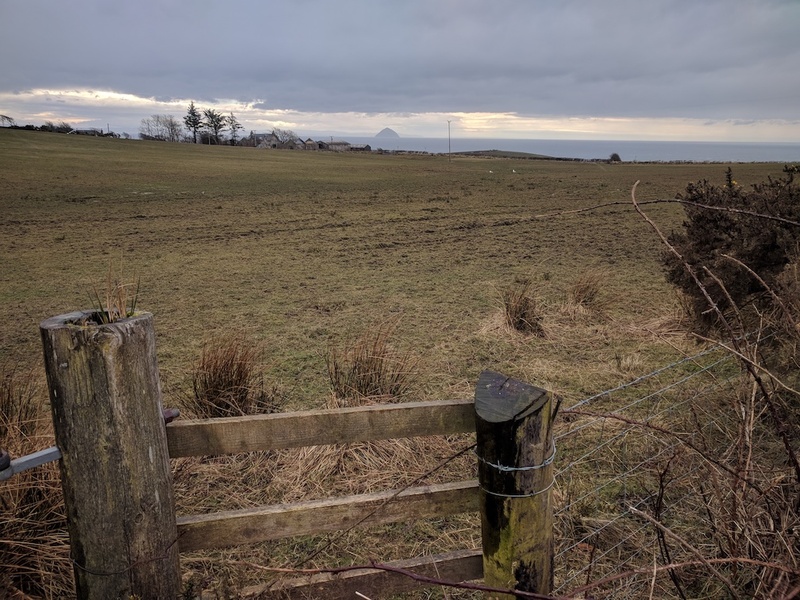 You can either head right down a track (sign posted and on the Arran Art Trail) or keep going to the main road for more views of the sea and Ailsa Craig. If you take the main road (you end up on it anyway), be aware that there is no pavement and that cars will be passing you - so make sure you can be seen! Especially, if it's hosing down with rain! On the main road (heading west), you'll go through Kilmory, past Kilmory Creamery and down into Lagg by the Lagg Hotel and Velo Cafe. From there, you run for about another mile until you get to an old rundown church and a war memorial. Take that - this is The Ross (remember it from earlier?). 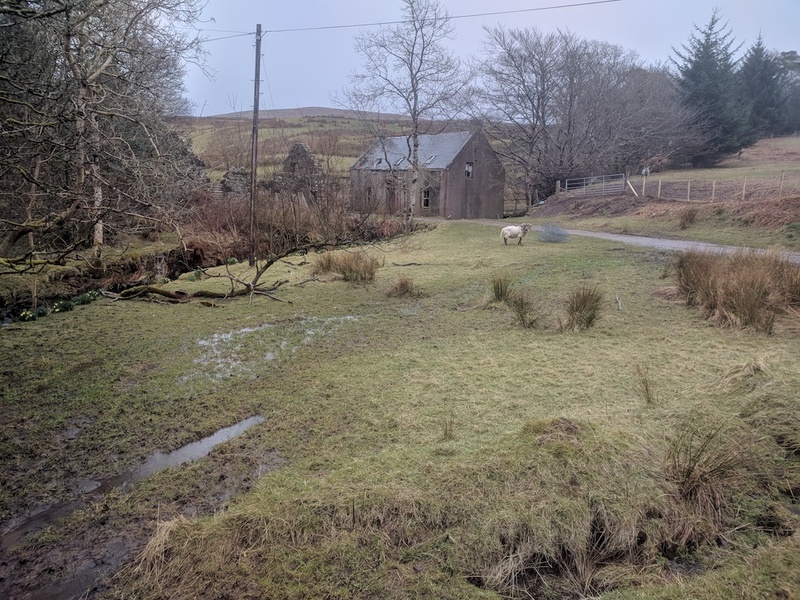 The Ross - despite it being tarmac - is the better half of the run because you run by some farms, streams, old ruins, a buddhist retreat and some steep hills on either side. It has much more to it than the first part. Like the starey ram below. It wasn't so pleasant today given it was straight into the driving wind and rain, but still pretty in its own way. After about 4-5 miles, you start to climb up to the highest point of the run. Today, it was a bit of a slog, but only because of the weather (well, maybe also because you start climbing around mile 17). Arriving near the top you are rewarded with a view back down to Lamlash and Holy Isle. And of course, a couple of miles of running down hill; finishing the 21 miles off in Lamlash. Psst - Today, I had a treat waiting for me when I finished. A bag of chips from Hooked and Crooked. Yaaassss! 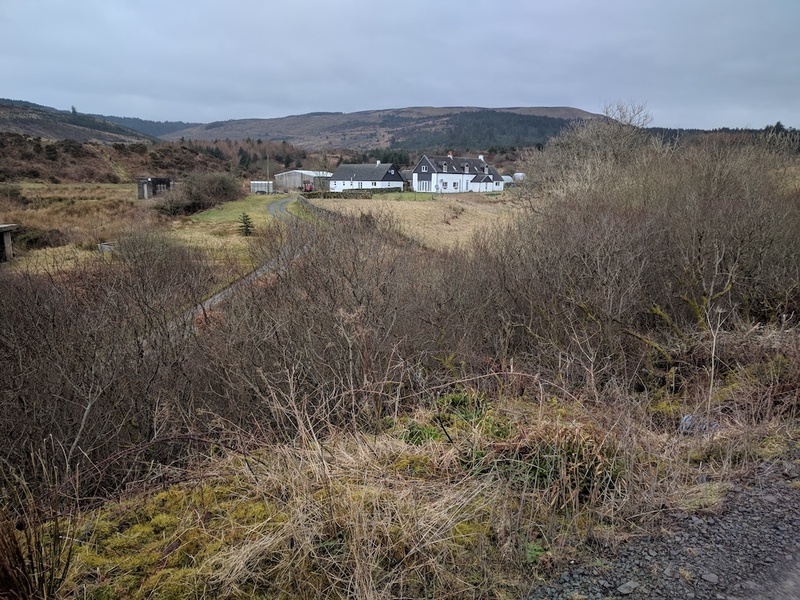 I've got a longer run semi-planned for later this week, so the first run of the week was a five miler up by Glenkiln Farm in Lamlash with views of The Ross, Cordon and Holy Isle. I had planned a route from the top end of Whiting Bay to Glenashdale Falls and Giants' Graves and back again, which was about nine miles round trip. 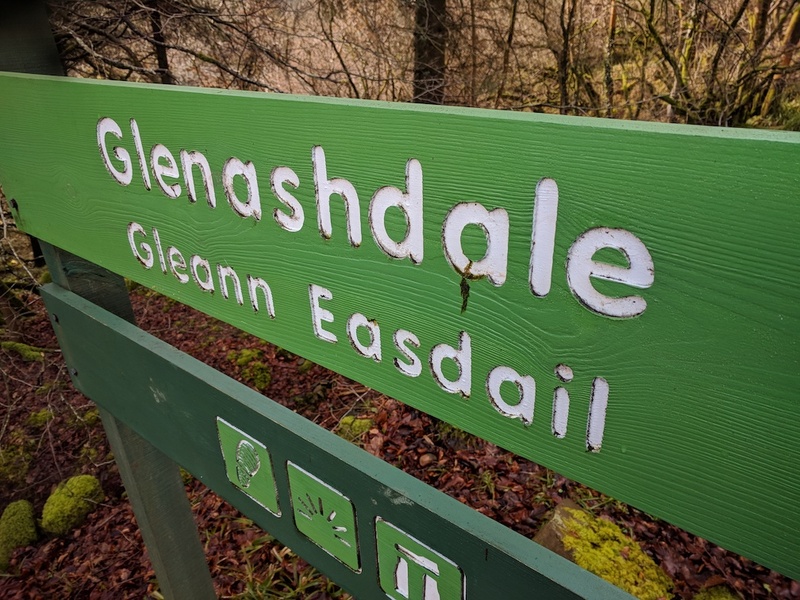 However, I only managed the Glenashdale Falls part. Hence, "Part 1" in the title.